Here’s another cool story about medical tattoos. 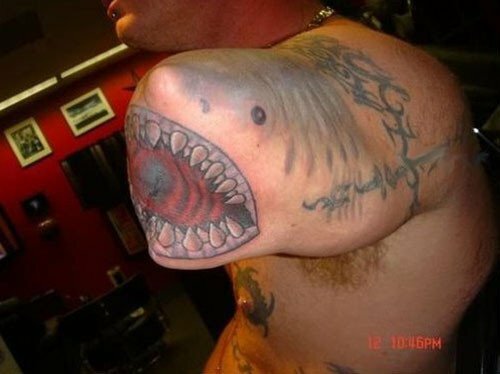 Check out this awesome tattoo of a shark meant to make light of an otherwise unfortunate situation. I wonder if his arm was really bitten off by a shark? What other cool medical tattoos have you seen?